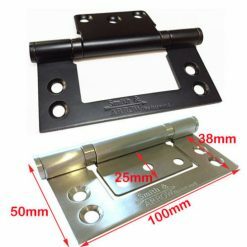 Hirline, non-mortice, stainless and black door hinges. 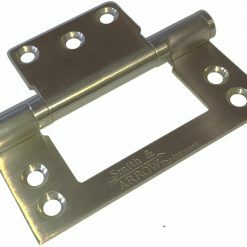 Each hinge is built around two hardened stainless steel ball bearing pivot points and is designed to last a lifetime. No-mortise hinges are thinner than standard hinges, which limits the gap on the doors of cabinets. No-mortise hinges leave only a small space between doors or the door and frame. These are constructed from stainless steel materials to be able to withstand many types of harsh environmental conditions.